Outrigger canoeing in Hawaii has been around since before anyone can remember. The Hawaiian Outrigger Canoe was developed by the indiginous people of pae ‘aina (Hawaiian Islands) over two thousand years. Outrigger canoes and their counterpart, double-hull, have developed over time mainly for open ocean conditions in the Hawaiian Islands. Canoes were used in many ways, just as we use automobiles today. The sport of Outrigger racing’s birth is debatable, but it is known that racing was very intense and stakes high. It was not until 1936 that canoe racing actually began to organize. 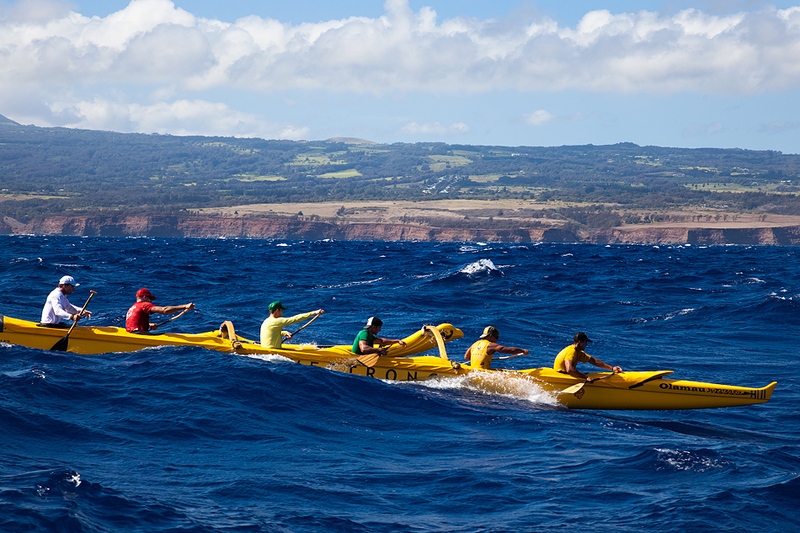 One of the most grueling canoeing events held in Hawaii is the Olomau Race, held on the Big Island. It is a 100 mile race that takes place over three consecutive days. This year’s event will be held from June 12, 2013 through June 14, 2013. The first day starts at Laupahoehoe peninsula and ends at Keokea, approximately 38 miles. The second day begins at Keokea and ends at Kawaihae harbor, approximately 27 miles. The final day of the event consists of two iron stages allowing all 12 paddlers to participate. The first stage of the final day starts at Kawaihae harbor and finishes within Uluweuweu bay at Kukio resort, approximately 18 miles. A grand prize package of $50,000 is awarded to the team who completes the three-day course in first place. If 100 miles of canoe racing seems a bit much for your tastes, with membership into the Hualalai Club, your stay at Hualalai Hale can give you a chance to feel like an ocean pro . The Alakaʻi Nalu of Hualālai Resort and Four Seasons Resort Hualālai help resort guests interact with the powerful force of the ocean and the topography of the coast. Snorkeling, scuba diving, stand-up paddle boarding, and yes, outrigger canoeing, are all activities offered by The Alaka’i Nalu. For more information about The Olomau Race, visit their website. For reservations or information about The Alaka’i Nalu, contact the Hale Nalu, Ocean Activities Center at (808) 325-8062 or visit their website.